Why do Disturbed, Down and Atreyu love Maiden? In the new issue of Metal Hammer we celebrate the heavy metal majesty of Iron Maiden! 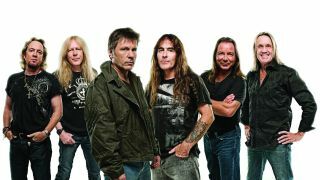 But it’s not just our office gushing over the mighty Maiden, some of the biggest bands in the new issue love a bit too! Here’s what Phil Anselmo, David Draiman, Levi Benton and more think about one of the greatest bands in history. Read the new issue of Metal Hammer the way you want. Instantly read the articles from issue 274 of Metal Hammer and dive into the back issues right now on TeamRock+. Experience the interactive digital edition for your iPhone and iPad or Android device.